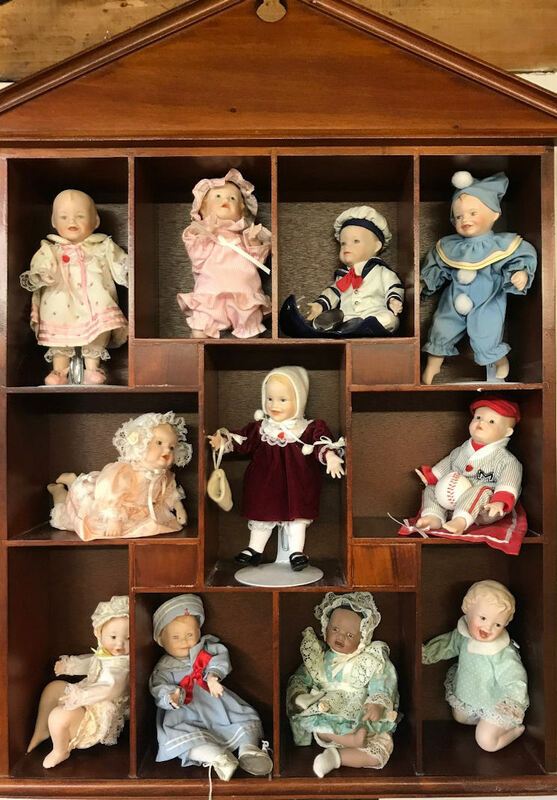 Donna Sabonis – Owner, artist, award winning dollmaker & teacher with over 26 years experience crafting & teaching the fine art of porcelain dollmaking. Everything from designing & pouring molds, to painting the dolls with her own special blend of colors that are realistic, warm & subtle, to designing & sewing beautiful yet authentic doll clothing. Let her expertise, quality workmanship & knowledge of both antique and modern dolls keep your doll faithful to its’ original condition. Donna's Children carries a large inventory of doll molds. Such a variety enables me to envision a personalized design while I create MODERN DOLLS. 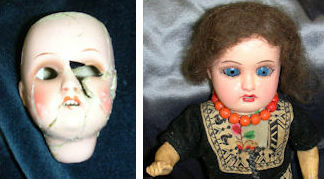 We can professionally restore cracked and damaged composition or porcelain dolls, even if some parts are missing. 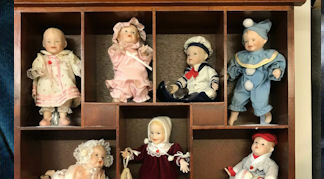 Antique doll restoration is a fine art process because many of the materials these dolls were made from, porcelain, composition, paper and vinyl. Depending on the specific materials used in a doll through time, they may crack, wear and tear on bodies, wigs matted and deteriorated.